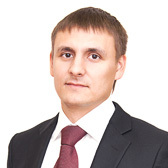 Date of issue: 04.04.14 Узнать о наличии версии 2015 года! 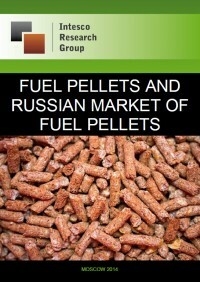 In 2009 – 2012 Russian market of fuel pellets demonstrates a stable growth. Thus, in 2012 volume of the market of these products increased by 10% and amounted to *** mln. t, that was equal to *** mln. m3 of pellets. In 2012 situation on Russian market of fuel pellets was characterized by import share equal to *%, while domestic production amounted to *%. During 2009 – 2012 dynamics of Russian production of fuel pellets demonstrates a stable growth. The most significant increase rate of production accounted for 2012 - +**,5% compared to the previous year. Thus, in 2012 volume of fuel pellets production amounted to *** mln. m3. In 2012 almost one half of Russian output of fuel pellets was provided by the enterprises of Leningrad region - -45,9%. Share of Krasnoyarsk region amounted to about **% in this structure. Presence of producers of fuel pellets from Arkhangelsk region constituted **%. Output of pellets in Khabarovsk region was by *,2 p.p. less and amounted to 7,6%. In 2007 – 2012 dynamics of Russian export of sawdust and waste wood and scrap as logs, briquettes, pellets or similar forms demonstrated a stable growth. Thus in 2012 *** ths. t of these products were delivered to the foreign market, that was by *2% more, than in the previous year.